Spring has arrived in Perth, and with it some (slightly) warmer weather, so the ideal time to transfer the Langstroth to the horizontal hive. We decided to transfer from a different Langstroth, the one that used to be a Topbar but was smashed by a tree! The move was very successful (but a bit too busy to take photos during the process). One of the benefits of the horizontal is that it is possible to open one lid at a time, and that was very beneficial for the transfer. We put some of the frames from the top super of the Langstroth straight in to either side. As they were WSP frames, each one was separated with a full depth (the horizontal is all full depth). When that was done each side was covered with the lid. Then we opened the brood box and transferred the full depth frames straight into the centre of the horizontal (which has a queen excluder on either side). Most of the bees transferred in on the frames, and what was left in the boxes were shaken in. The centre lid was replaced, and all looked fine. The bees were coming and going and using the new entrance very well! 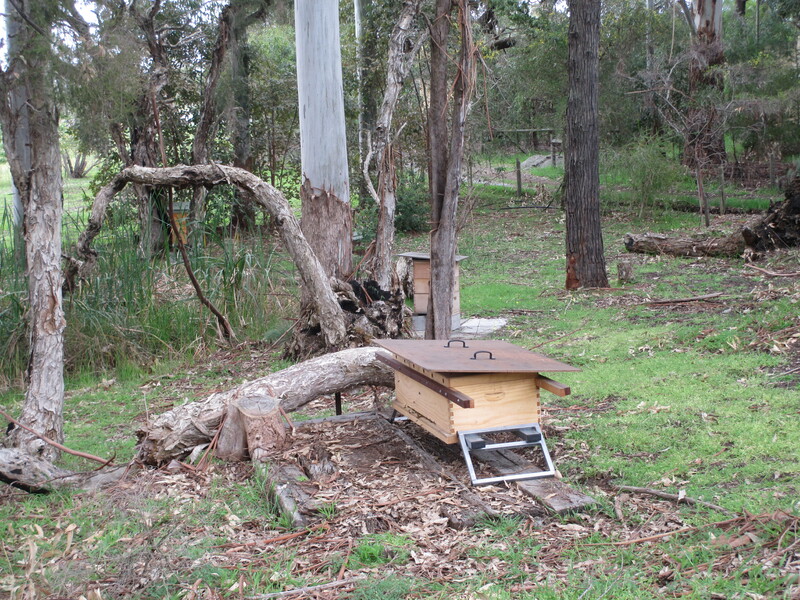 Once they have all settled, we will move the hive and stand slightly forward to be more central on the site.